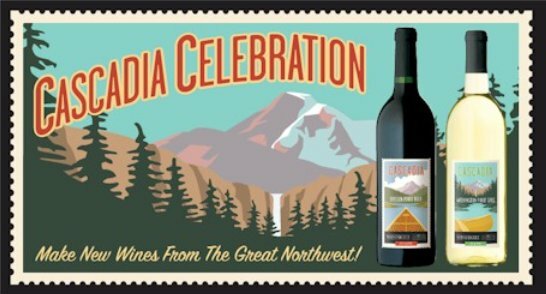 Cascadia Celebration – New Limited Release Wine Kits! name. The moderate climate and rich soil of the region also make it an ideal location for vineyards, which is why we have chosen two of the region’s finest varieties to showcase for a limited release offering. with distinctive fruit flavours, aromatics and complexities. toasted vanilla on the palate. aromatics and complex fruit flavours. pears and a crisp finish. Meant to be consumed early. As with all of our Limited Release wines, quantities are limited and kits are available by pre-order only. or email us today to pre-order your kits. The pre-order deadline for the Cascadia Celebration Washington Pinot Gris and Oregon Pinot Noir is October 6th, 2011.